Each year funding from DKIST and the National Solar Observatory supports many students in participating in Akamai. 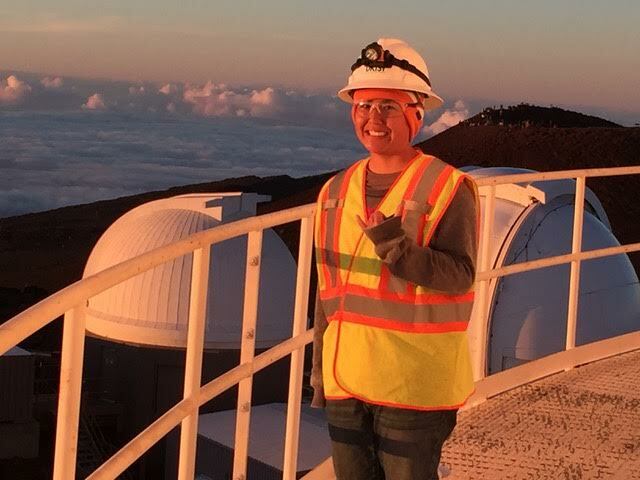 Some students work directly on DKIST projects, which provides training for future DKIST jobs, or jobs at other telescopes and high tech companies in Hawaii. DKIST is hiring locally, and has hired three Akamai alumni. DKIST participates in Akamai’s Mentor Council and is actively engaged in developing effective mentors by sending personnel to ISEE’s Mentor Workshop. Through participation in the workshop DKIST mentors provide projects for local college students that are high quality training experiences AND make real contributions to DKIST (see box below). Worked on developing an algorithm for data analysis from CryoNIRSP, a DKIST instrument. Keoki worked under the mentorship of Jeff Kuhn and Andre Fehlmann (Institute for Astronomy). (2017 Akamai). Worked on building a graphical user interface for the CryoNIRSP, a DKIST instrument. Joshua worked under the mentorship of Isabelle Scholl and Andre Fehlmann (Institute for Astronomy). (Akamai 2017).